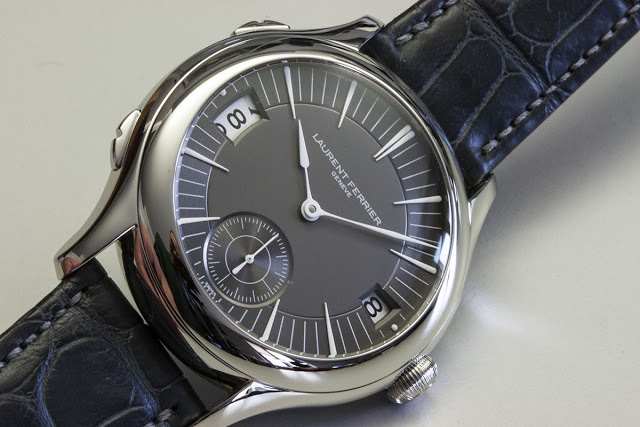 A sneak peek at the new Laurent Ferrier Traveller dual time zone watch to be launched at Baselworld 2013. 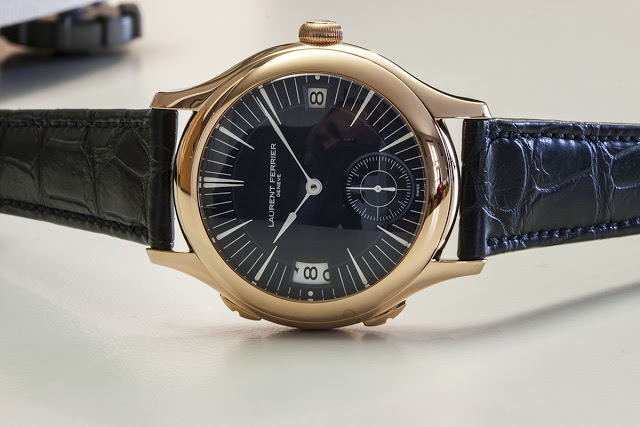 Alex Ghotbi, who is better known as the community manager of The Hour Lounge, which is the official Vacheron Constantin forum, has just shared photos of the new Laurent Ferrier Traveller dual time watch. 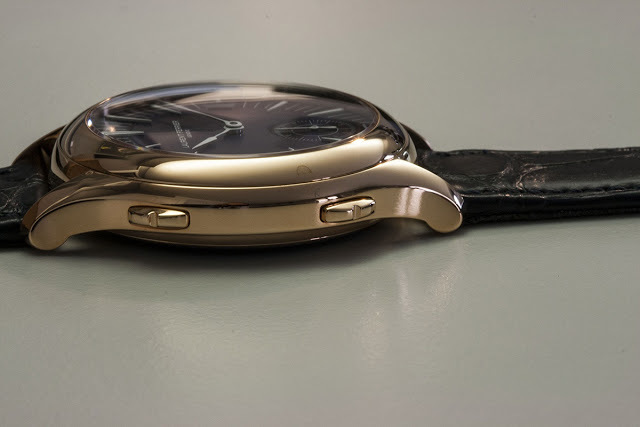 The Traveller shows the second time zone at nine o’clock, while the date is across at three. 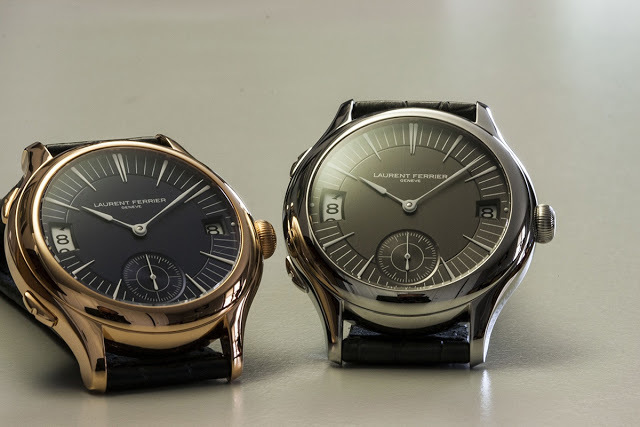 Two pushers in the side of the case can advance the second time zone or set it backwards, in one hour steps.